Honda Integra on the road. Maxi-scooters are becoming more and more stylish and they provide consumers with an economic way to travel. One scooter which caight our eye a while ago was the Honda Integra. Details on this scooter were recently revealed and we like what we saw. 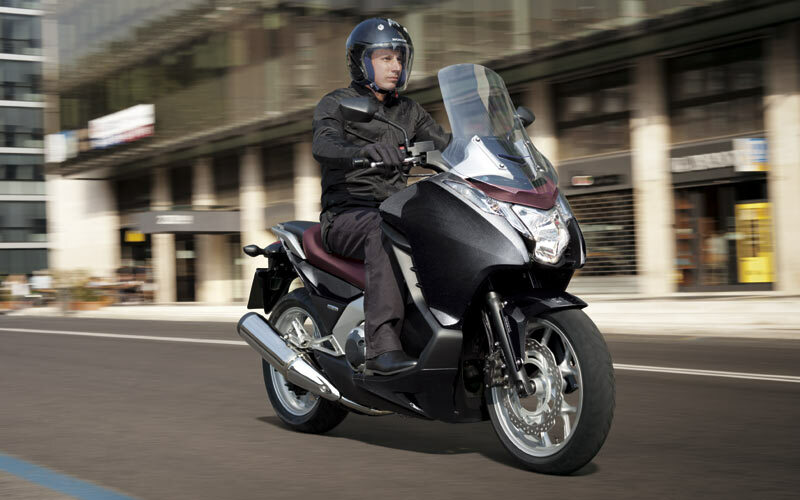 The dual-clutch Integra claims to offer a 76mpg fuel consumption and reduced service costs. Tank rage is at about 250 miles. 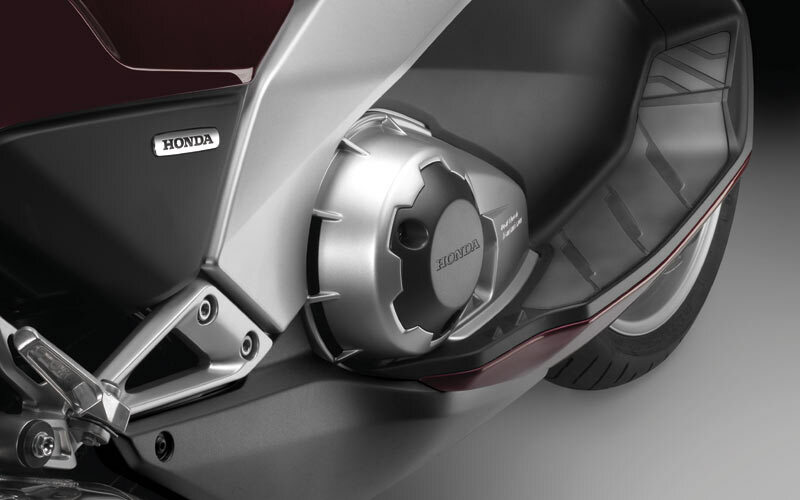 The Integra is the first of a three-model line-up to feature the new SOHC 670cc parallel twin engine with dual-clutch transmission similar to the one used on the VFR 1200 FD. One clutch handles 1st, 3rd and 5th gears, while the other handles 2nd, 4th and 6th. 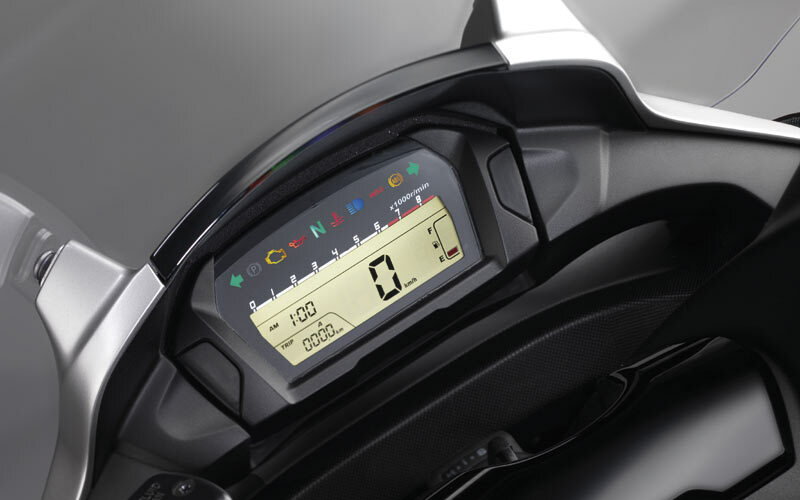 The Integra also features 3 drive modes and can be fully automatic or manual. Both modes can be combined to allow the driver easier overtakes. 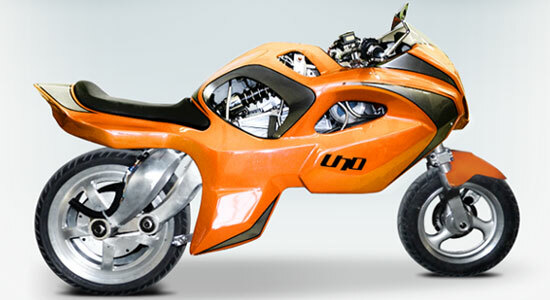 Engine: Liquid-cooled 670cc (73mm x 80mm) four-stroke 8-valve, SOHC parallel-twin. PGM-Fl electronic fuel injection. Six-speed transmission. Chain final drive. Chassis: Diamon; steel pipe frame. Front 41mm telescopic forks, 120mm travel. Single rear shock, 120mm travel. Brakes: 320mm single wavy front disc with 3-piston caliper. 240mm wavy rear disc with single-piston caliper. ABS/CBS as standard. Let’s cut to the chase. We want this. We want it bad. And we’re betting you do too. UNO III, we love you. You make our hearts sing.